The family of Scott Lisinicchia issues its statement after an attorney for Prestige Limousine says the driver might have been unfamiliar with the rural road. SCHOHARIE, N.Y. — Relatives of the limousine driver involved in a crash that killed 20 people in upstate New York said Tuesday they believe he was unwittingly assigned an unsafe vehicle. The family of Scott Lisinicchia released a statement through a lawyer shortly after another attorney representing the limousine company, Prestige Limousine, said the driver might have been unfamiliar with the rural road. 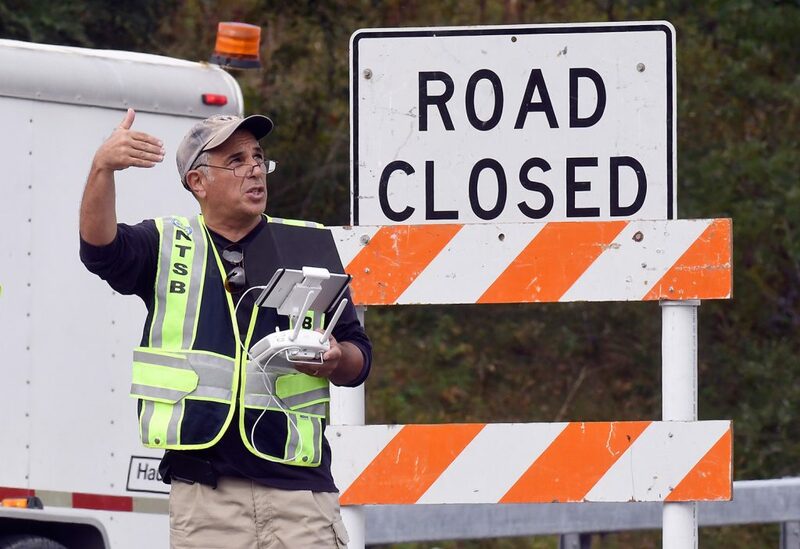 Lisinicchia was driving the limousine that ran through a stop sign Saturday at the bottom of a T-intersection on a rural road 25 miles west of Albany. Two pedestrians and all 18 people in the limo celebrating a woman’s birthday died. The statement from Lisinicchia’s lawyer said he would never have “knowingly put others in harm’s way” and cautioned against jumping to conclusions. “The family believes that unbeknownst to him he was provided with a vehicle that was neither roadworthy nor safe for any of its occupants,” according to the statement from Grant & Longworth. Prestige Limousine has been criticized for maintaining vehicles rife with violations and for employing a driver lacking a commercial license. The deadly crash also has shined fresh light on the business owner, a former FBI informant. The limousine that ran the stop sign was cited for code violations Sept. 4, including a problem with the antilock brake system malfunction indicator system. Four of the Gansevoort, New York-based company’s limos were cited for 22 maintenance violations this year, though none were deemed critical. Kindlon said he doesn’t think those infractions contributed to the crash. He told the Times Union of Albany that the driver might have misjudged his ability to stop at the bottom of the long winding hill. The limousine, built from a 2001 Ford Excursion, ran the stop sign, crossed three lanes of traffic and hit a parked SUV before stopping in a wooded ditch. Federal transportation records show that Prestige is owned by Shahed Hussain, who worked as an informant for the FBI after the Sept. 11 attacks. He infiltrated Muslim groups by posing as a terrorist sympathizer in at least three investigations. State police say Shahed Hussain is in Pakistan. On Monday his son, Nauman Hussain, who has operated the limo company, met with state police investigators for several hours, according to the Albany newspaper. Kindlon declined to comment on the interview to the newspaper. He did not return calls seeking comment from The Associated Press. In 2014, Nauman Hussain and his brother were accused by police of insisting they were each other after a traffic stop. Nauman Hussain was the passenger, but had a valid license. His brother did not. Police later discovered Nauman had an extensive suspension and conviction list which had been cleared, according to the Times Union. Prestige’s address is listed as a modest motel outside Saratoga Springs that is owned by Hussain, according to tax records. Nearby residents complained to town code enforcement officials several times in recent years about the condition of Hussain’s property. In spring 2017, the state health officials shut down the motel and its low-income residents were forced to temporarily move out after a sewer line failed. The owner claimed a disgruntled former tenant sabotaged the infrastructure, but a building inspector blamed the problem on improper fittings and lack of support for the waste lines.